You can contact those freelancers who applied to your job posting on the Applicants page of your job. Click on your avatar on the top right side of the page and choose “My Jobs”. On the Jobs page, click on the Actions drop down and then choose View Applicants on the job posting you want. 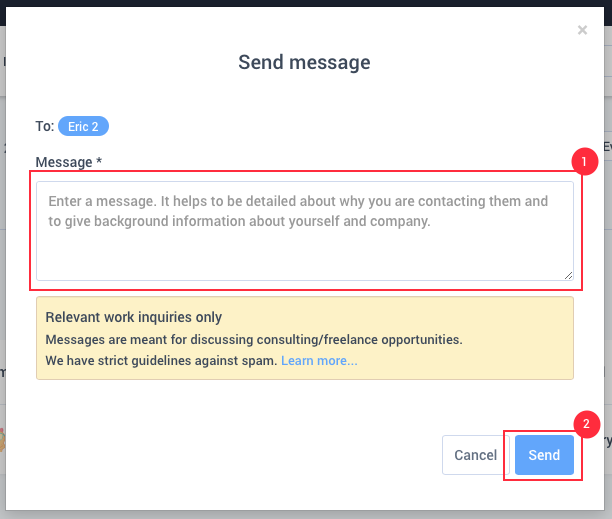 On the applicants page, you will see the list of applicants who applied to the job posting you have chosen and you can contact them by simply clicking on the Actions drop down and then choose Contact for each freelancer. On the message pop up, enter your message and push Send.